Have you noticed that the world is full of strange coincidences? I’ve always been a firm believer in fate – what is to be, will be – but sometimes the twists and turns that fate takes are very odd indeed. 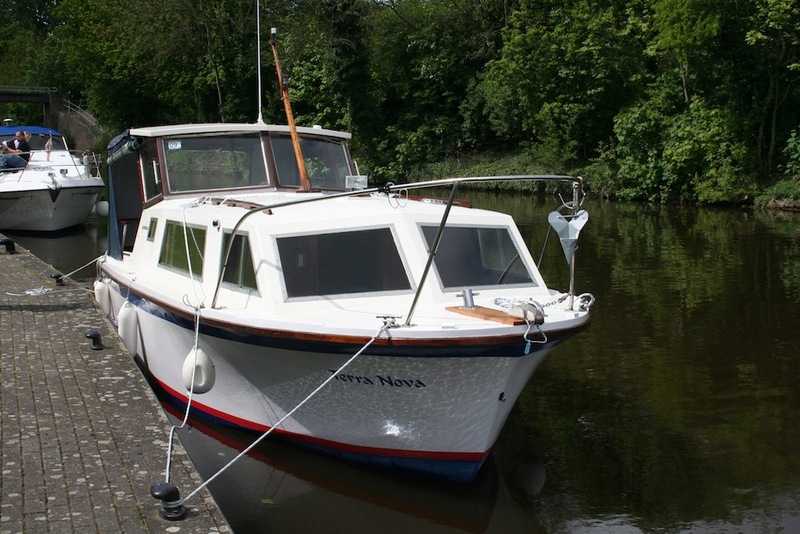 And one such series of coincidences has just made itself apparent regarding Terra Nova, the old Seamaster Admiral cabin cruiser that my brother and I own together and which has featured fairly regularly in this column. I was not overly surprised when a lady contacted me about the boat. What was surprising was that she lives in North Devon and had been alerted to my column by an old school chum who still lives in Staines and who had read Riverwatch. Julie Robson emailed me from the West Country to say that her dad, Monty Graham, had built a Seamaster from the bare hull up during the 1960s when he and his family lived in this area, and had called her Terra Nova after the famous ship of Antarctic explorer Robert Falcon Scott. Was it possibly the same boat? I was very doubtful at first. My brother and I bought the old boat from a pair of fishermen in Kent. She was berthed down at a place called Otterham Quay on the Medway and they used her as a fishing platform in the Thames estuary. So the odds of it being the same boat looked rather long. 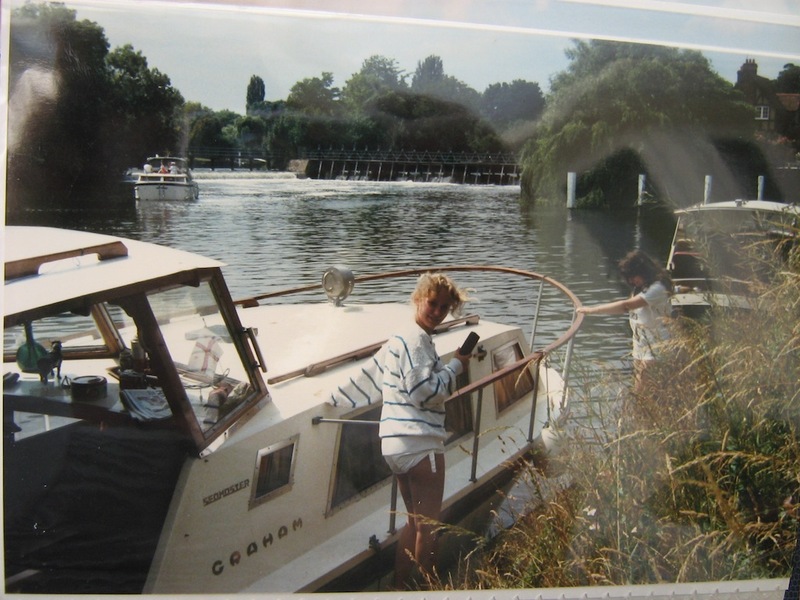 But Julie came back to me, rather excited, to say that following the untimely death of her dad in 1995, the family decided to sell the boat (which was then based at Shepperton) and it was taken off their hands by two men from Kent! The more we dug around the subject, the more likely it was that Julie’s Terra Nova and ours were, indeed, the same craft. And the clincher came when Julie told me that along the side of the coach roof her dad, who was an engineer working in Egham, had applied the family name ‘Graham’ in aluminium lettering. We took a close look at our Terra Nova. The lettering is long gone but, quite clearly on the side we could make out the name Graham marked on the fibreglass where the surrounding paintwork had faded but the letters had kept the material clean and shiny. Wow, what were the chances of that? A boat built in 1968 and used by the Graham family, based at Shepperton, for holidays, cruises and sleepovers for nearly 30 years; sold and moved to Kent for 10 years and then bought by my brother and I and sailed all the way back up the Thames to Shepperton. Quite amazing. Julie was really delighted to establish that it was the same craft. She told me: “I’m so pleased that she’s come home. She was my dad’s pride and joy and he would be so happy that the boat he put all his love and effort into for so many years is still going strong and looking as good as ever. “Thank you so much for taking care of her – it means a lot to me, my mum and my brother who all have happy memories of times spent aboard her. Julie has kindly sent me through a number of old photos of her and her family on Terra Nova and she has a wealth of stories about times on the boat. Next week, I’ll let her tell the tale of how her dad came to take on the project of fitting out the boat and a few of the escapades they enjoyed in her.